Hundreds of formal jobs are on the line in the economy as various businesses grapple with the realities of hyperinflation and exchange rate induced losses. The market has witnessed massive price hikes since the announcement of the October 2018 and February 2019 monitory policy statements by the Reserve Bank of Zimbabwe (RBZ). According to ZimStats, year-on-year inflation jumped from 5.39% in September 2018 to 20.85% in October 2018. Inflation closed the year at 42.09% and has increased sharply to 59.39% in February 2019. Independent analysts however point that the figure is much higher than what the government agency is communicating and most businesses have resorted to using their own inflation models for their accounting purposes. Prices for industrial and basic consumer goods have been going up in the market in line with black market exchange rates where US$1 now fetches between RTGS $4 to $4.7. On the official market however, the rate is at 3.11 as of 10 April 2019. The cost of living as measured by the Consumer Council of Zimbabwe (CCZ) for the low income urban family of six increased by 1.21% from $781.35 in February to $791 in March. Most manufacturers and retailers have long adopted the USD to price their products under the guise of cash discounts, with the RTGS price pegged at high rates to discourage buyers from buying using the local RTGS currency. The increase in the pump price of petrol and diesel in January has also increased the cost of production for most producers who inevitably passed the cost to the consumers. On the 29th of March 2019, Old Mutual Zimbabwe which is largest integrated financial corporation in Zimbabwe by assets and sales announced that it is going to cut more than 10% of its workforce in a retrenchment exercise. The announcement came after the presentation of 2018 annual results where the financial behemoth notched revenues of RTGS $1.4 billion but underscored that the recent monitory policy changes have hurt the company’s bottom line. Though the retrenchment exercise is likely to affect less than 100 employees in the OMZ group, all signs point to similar retrenchment exercises across the market with the financial, real estate, retailing and manufacturing sectors worst affected by the economic slowdown. Some producers who are not on the foreign currency priority list had already started retrenching towards end of 2018. According to the Confederation of Zimbabwe Retailers (CZR), the country’s retailing sector is seen declining this year due to the impact of hyperinflation and a widening rift between prices and consumer incomes. Major constraints to most retailers emanate from the cost of foreign currency to import merchandize, increase in transportation charges and advancements in labour costs. The real estate sector has also seen a slump is sales as real disposable incomes for customers slump due to inflation. The real estate sector heavily relies on a sound financial sector where mortgages and loans contribute to bulk of the property developments and unit sales. The Real Estate Institute of Zimbabwe (REIZ) expects rental income for both residential and commercial properties to be affected by low demand and exchange rate losses in 2019. The introduction of the Foreign Currency Interbank facility by the apex bank in February 2019 provided some relief for the local industry as foreign currency shortages remain the biggest constraint to production. However the facility is yet to inspire confidence on the local market due to supply and demand disequilibrium. There has been a flood of buyers for the little foreign currency that has been on offer and the situation may persist into the foreseeable future until domestic production improves. It is highly unlikely that black market rates will align to the interbank rates as long as the inflation figures still remain high. The black market is in a survival war with banks and bureau de-change houses to attract the same foreign currency from sellers and the highest bidder always carries the day. Local manufacturers owe foreign suppliers over $183 million in legacy debts which were accrued during the Bond to US Dollar 1:1 era and are engaging the government to expedite payment before raw material supplies are cut off. Labour demands have also compounded the situation from the public sector to the private sector. Some employers in the private sector have been paying cost of living allowances and bonuses to cushion employees from the high cost of living but the pressure to pay part of the salaries in foreign currency is growing by the day. The government recently yielded to labour demands and awarded salary increments ranging from 25% to 29% as part of a $400 million cost of living adjustment in March. Under the increment package, civil servants earning $441 will be paid $570, while those currently getting $519 will earn $649. Civil servants were demanding a minimum salary of RTGS$1700 which was closely linked to the interbank rate between the RTGS and US Dollar. The disparity between average civil service salaries and the cost of living as measured by CCZ will continue to put pressure on the government to at least reign in on the inflation rate or increase salaries to match prices increases. The government itself is also looking at streamlining its civil service head count of more than 300 000 in 2019 as way to manage recurrent expenditure which accounts for over 90% of the budget. The government expects to save $330 million by 2020 through retrenchments and wage bill containment measures that will result in the right sizing of public employment, among a raft of other reforms. Faced with the economic slowdown, producers ordinarily have two choices which are to increase revenue on the same output (price increases) since demand is not growing or to cull employees (retrench) to contain production cost. It is worth pointing that producers have been engaged in other cost containment exercises so as to avoid retrenchments but the growing labour demands and economic slowdown will lead to job cuts in the short term. 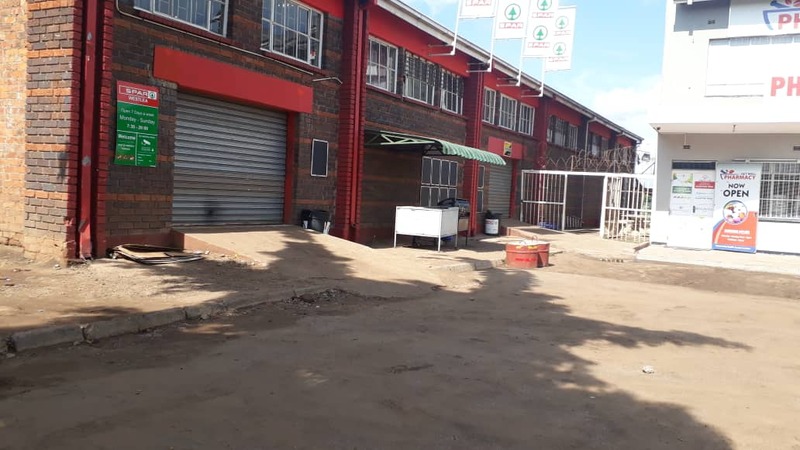 The worst affected will be contract (temporary) employees, unskilled labour and units that operate out of Harare where consumer demand has been declining. Companies ordinarily start by finding cheaper alternatives in terms of raw materials and closing non-performing branches then offering packages for voluntary retrenchment. However it may be necessary to target certain functions or skills if volunteers are not forthcoming. If the economic challenges persist deep into 2019, tough decisions will have be made and labour is often the weakest link in the matrix.